L'AQUILA, Italy Defying assertions that earthquakes cannot be predicted, an Italian court convicted seven scientists and experts of manslaughter Monday for failing to adequately warn residents before a temblor struck central Italy in 2009 and killed more than 300 people. "This trial has raised huge concerns within the scientific community because here you have a number of scientists, who are simply doing their job, being prosecuted for criminal manslaughter, and I think that scares all of us who are involved in risk communication," professor Tom Jordan, director of the Southern California Earthquake Center, told CBS News. State TV noted that this was the first time prosecutors had brought a case based on the failure to predict an earthquake. 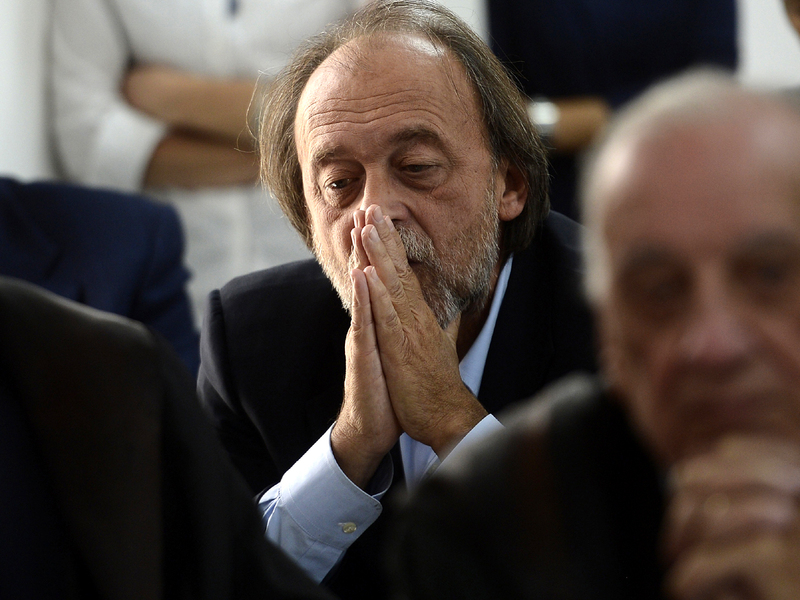 Among those convicted Monday were some of Italy's most well-known and internationally respected seismologists and geological experts, including Enzo Boschi, former head of the National Institute of Geophysics and Volcanology. CBS News correspondent Allen Pizzey reports from L'Aquila that the prosecution said the case revolved around one key word, "analysis," that in spite of the data the scientists failed to give adequate warning that a major earthquake might be imminent. As a result, residents of L'Aquila did not take precautions instilled in them through a long history of seismic activity in the region. As the son of one victim put it "my father died because he listened to the state." The quake killed 309 people, injured more than 1,500, and left 65,000 people homeless, Pizzey reports. The entire historic center of the city had to be abandoned. Three and half years later, the historic centre of L'Aquila is a virtual ghost town, Pizzey reports. Buildings are held together by scaffolding and steel girdles, which in many cases will only come off when the structure is demolished. Residents who have lodged civil suits said they were less interested in seeing the accused in jail than in sending a message that they want more and better information about possible future quakes. Prosecutors had sought convictions and four-year sentences during the trial. They argued in court that the L'Aquila disaster was tantamount to "monumental negligence," and cited the devastation wrought in the southern United States in 2005 when levees failed to protect the city of New Orleans during Hurricane Katrina. Relatives of some who perished in the 2009 quake said justice has been done. Ilaria Carosi, sister of one of the victims, told Italian state TV that public officials must be held responsible "for taking their job lightly." The world's largest multi-disciplinary science society, the American Association for the Advancement of Science, condemned the charges, verdict and sentencing as a complete misunderstanding about the science behind earthquake probabilities. There are swarms of seismic activity regularly in Italy and most do not end up causing dangerous earthquakes, said AAAS geologist Brooks Hanson, deputy editor of the organization's Science magazine. He said that if seismologists had to warn of a quake with every swarm there would be too many false alarms and panic. Comments on Twitter about the verdict abounded with references to Galileo, the Italian scientist who was tried as a heretic in 1633 for his contention that the Earth revolved around the sun and not vice versa as Catholic church teaching then held. In 1992, then-Pope John Paul II declared that the church had erred in its ruling against the astronomer.